HOW MANY OF BHARARA’S CASES WILL STAND UP ON APPEAL? 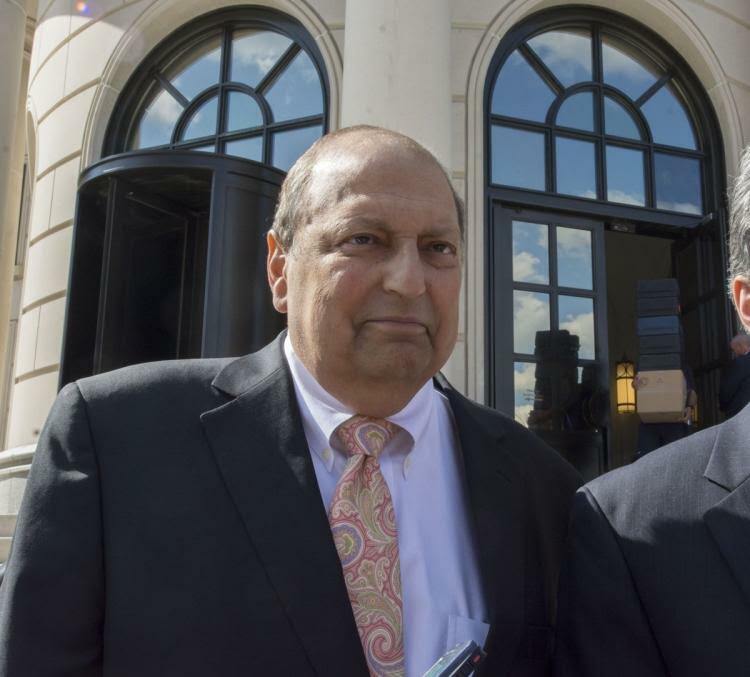 A federal appeals court vacated the conviction of deceased NY State Senator Tom Libous (R) this week and agreed with Libous attorney Paul DerOhannesian that a $50,000 fine the senator paid must be returned to the Libous family. 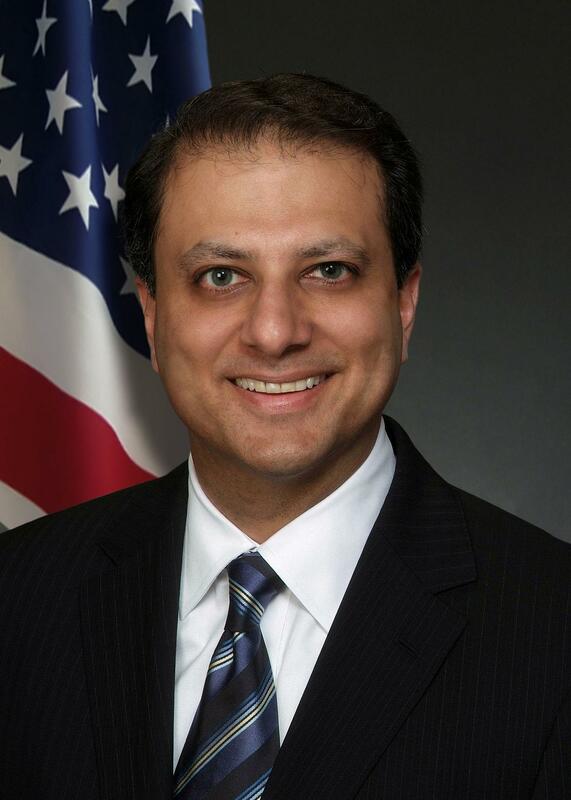 Former federal prosecutor Preet Bharara, fired by President Trump in February, had been adamant the government should keep the $50,000. Bharara’s argument was mocked by the judge in the case. “In our system of criminal justice, the state is not permitted to charge the accused for the privilege of having been prosecuted,” Chief Justice Robert Katzmann informed the federal prosecutors. Libious, the former number two ranking Republican in the NY Senate, was found guilty in 2015 of “making a false statement” to the FBI. In 2016 he died of prostate cancer before his appeal was heard. When a defendant dies during the appeals process, it is common for their conviction to be vacated. The prosecutors agreed to vacate the case, but argued the government should keep the fine. Thus, the decision by Justice Katzmann was looked at as a victory by the Libous family and his supporters. Politicians under the microscope of the FBI frequently are treated as toxic contagions by their colleagues. In the case of Libous, however, prominent allies like New York GOP Chairman Ed Cox were outspoken in his defense. In July 2014 Cox said he believed the case was politically motivated, conspicuously timed right before the state elections. The FBI’s use of the “false statement” arrests may not be as infrequent as Cox claims. The FBI has successfully convicted many Americans for “making false statements,” including celebrity homemaker Martha Stewart, political operative Scooter Libby, Illinois Governor Rod Blagojevich and fraudster Bernard Madoff to name just a few. Cox blasted the FBI for telling the public the case against Libous would show he used his office to help his son Matthew Libous get a lucrative job. Senator Libous was only charged with a single count of making a false statement to FBI agents, Cox pointed out. The agents dropped in on Libous at his office in 2010, asking him questions about his son’s $150,000-a-year job at the law firm Santangelo, Randazzo & Mangone in Westchester and pressing the senator on whether he made a deal to help his son get the position. Though they did not record the questioning a jury ruled that Libous lied to agents and thus was guilty of the “false statement” charge. Senator Libous’s son Matthew Libous was the center of his own legal case, receiving six months in prison for failing to report income on his taxes. The allegations spread by the FBI against Libous and his son somewhat mirrored the those against former Senate Majority Leader Dean Skelos and his son, but the charges filed against both was less severe. Cox did not offer Senate Leader Skelos support during his trials and tribulations, but he was all in on rebutting the Libous allegations from the start. He went so far as to proclaim his suspicion that the prosecution of Libous was part of a deal that included everyone from Governor Andrew Cuomo right up to Attorney General Eric Holder. Knocking off Libous would help Democrats would take control of the NY Senate, Cox reasoned. It was an outcome that never materialized. Even when Democrats have held the majority of seats in the Senate earlier this decade the GOP maintained leadership because the Independent Democratic Conference caucused with Republicans. Contrary to Cox’s theory about the Libous prosecution, it was widely reported in 2014 Governor Andrew Cuomo and Senate Leader Skelos had a non-aggression pact: Skelos did not throw his weight behind Republican gubernatorial candidate Rob Astorino and in return Cuomo did not make an effort to seize control of the Senate on behalf of Democrats. Cox hated Preet Bharara’s case against Libous, but apparently maintained an overall positive impression of the prosecutor famous for bowling over New York’s political kingpins. He said he would support Bharara remaining as federal prosecutor under the Trump administration.